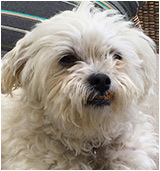 Meet Rocky, an 11 year old Shi-chon – that’s a Shitzu/Bichon Frise mix for you non-canineofiles. Rocky is a cancer survivor courtesy of cutting edge (pun intended) surgery at the CSU Vet school. The reborn pup has a new lease on life. He enjoys listening to the Rolling Stones, much like owners Bob and Cynthia, and walks in Memory Square Park. Rock on, Rocky. This house was built in 1890 by the Thomas family and remained in their family until 2005. The original owners were English and Welsh immigrants. Members of the Thomas family owned coal mines, grocery and feed stores, and the Louisville Grain Elevator. 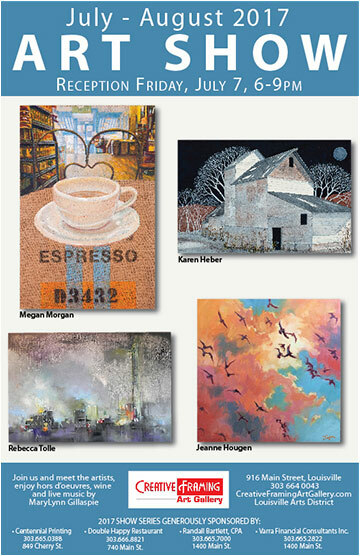 Come see the work of these fine artists during First Friday Art Walk. 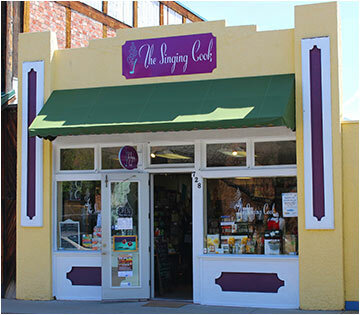 Stop in for a chance to listen to the Singing Cook SING! Owner Jenni will be sharing some of her favorite tunes accompanied by Melanie Lawrence of Main Street Piano Studio. So drop by for goodies, refreshments and music on First Friday Art Walk. Music starts at 6:30 pm. 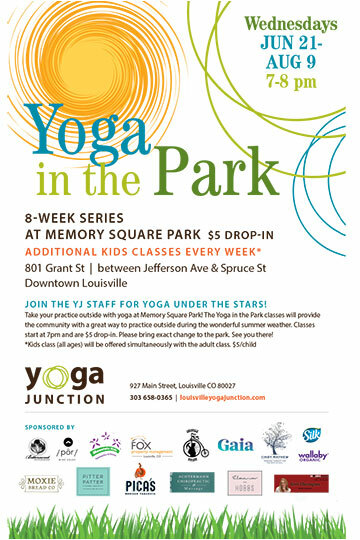 Rhythm, Music and Dance in the visual arts will be at the Louisville Library Gallery for the month of July. Stop by and vote for your favorite piece for the People’s Choice Award. 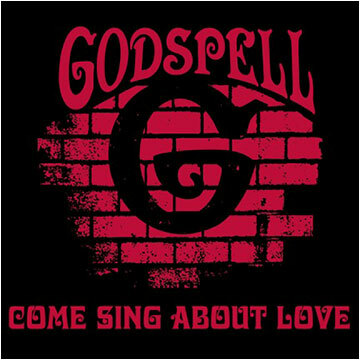 Godspell delivers a message of hope, solidarity and community, and features new music and updated material from the Tony Award winning 2011 Broadway revival, written by Michael Tebelak. The tuneful score, written by Stephen Schwartz (Wicked, Pippin), features such memorable songs as “Day by Day,” “All Good Gifts,” “Turn Back, O Man,” and more. The action is based on the Gospel according to Matthew, bringing the parables to life in humorous, startling, and poignant ways by showcasing the underlying themes of community and hope. FingerPlay Studio celebrates crafting groups and clubs with Club Month throughout July. Mention your group and receive 30% off one item. Want to win a party at FingerPlay Studio for your group? Put it in writing! Tell Celeste and Carol, FingerPlay Studio owners, what you love about your craft group and you could win a party hosted at the Studio. Contact FingerPlay Studio for details. What is Alexander Technique and who does it benefit? Alexander Technique benefits everyone! It is a practical hands-on study of the principles of coordination, habit, movement, and awareness. Through light touch and basic anatomical information, this technique helps you to access innate coordination, achieving ease, grace, comfort, strength, and flexibility. It helps with instrument playing and performing, activities of everyday life, performance anxiety, injury rehabilitation, and chronic pain. Teachers of the Alexander work help you notice how and when you are working harder than you need, to realize your habitual movement patterns, and learn to make changes on your own. 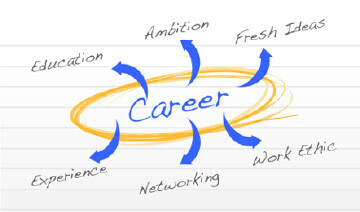 Step out of your box and learn to positively improve your body in a comfortable group environment! 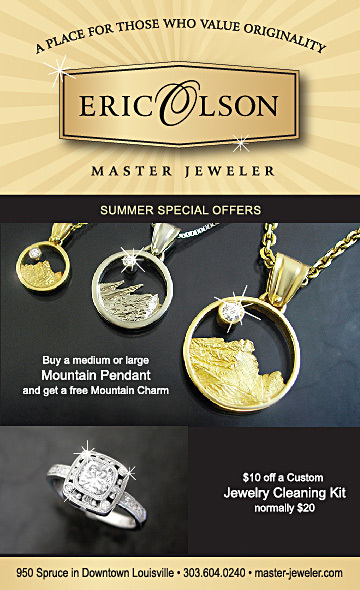 Come by to see a wide variety of jewelry and get details on the summer specials. A limited quantity of posters from the first four shows are available, first come first serve, at The Singing Cook. Crayons to Calculators is back! Keep your eyes out for our community collection boxes around town. We are collecting school supplies and backpacks to be distributed to our BVSD students! This year’s Crayons to Calculators drive begins in June and concludes the end of July. We expect to stuff over 10,000 backpacks full of supplies, setting up students from pre-school through high school for a successful school year. Join us in this tremendous effort by either contributing supplies via the community drive location sites or volunteering over the summer to help stuff the backpacks! 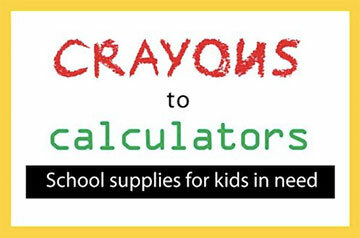 Please check out our website www.crayonstocalculators.org for more information on supply donation location and volunteering. This program is part of the “Build a Better World” Summer Reading Program. You’ll walk with friends and neighbors at a leisurely pace with frequent stops to observe and practice nature connection. You will look at nature in a whole new way! 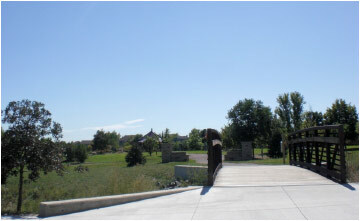 The Louisville Arboretum is located on Via Appia between the Recreation Center and the Police Department, with closest access from the parking lot located at the Louisville Skate Park. If you would like to find out about alternatives to investing in standard mutual funds and stocks, this is the program for you. 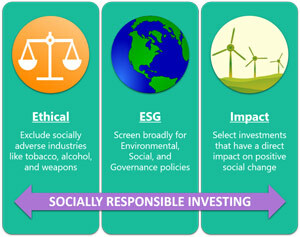 We’ll start with an overview of Socially Responsible Investing and then take a look at the risks and returns of some lesser known options. Learn about venture capital, hedge funds, real estate investment trusts, precious metals, and collectibles. Money Matters features a different topic each month. 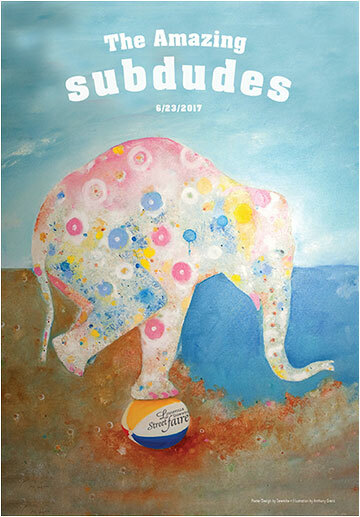 This year’s Friday Art Walk series features lesser-known aspects of Louisville history and culture. 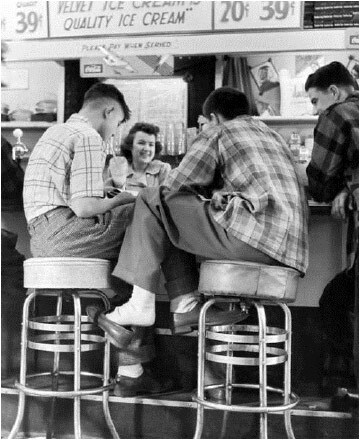 This month participants can sample a float with old fashioned soda such as sarsaparilla, root beer, or birch beer and learn about local drug store and soda fountain history!